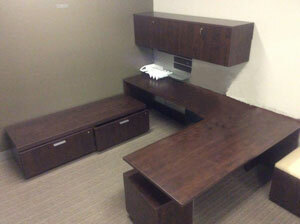 Inventories that we have acquired from customers who are updating their furniture. 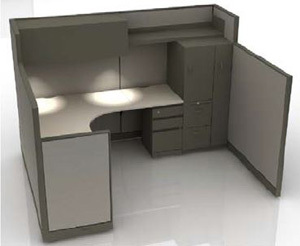 This is usually systems/cubicle solutions or offices that will require a minimum quantity purchase and may be restricted to configurations that we have available. 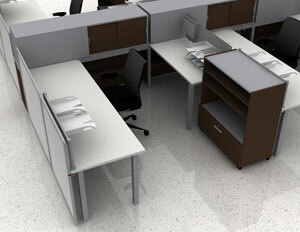 Demo or showroom furniture that is no longer being used on the showroom floor. Furniture that didn’t meet the customer specifications (e.g., delivered in the wrong color, missing a feature, slightly damaged, etc.). Not only are these solutions cost-effective, but you can help us keep this furniture out of landfills. These solutions may also be available for immediate delivery if your time frame is short. If we don’t have a solution in stock that meets your needs, we may be able to find a solution for you. We are connected with a large network of used furniture brokers nationwide, and we can search for available inventories that more closely fit your requirements. If an in stock or pre-owned solution is of interest to you, please fill out the form below and we will have a sales representative contact you.